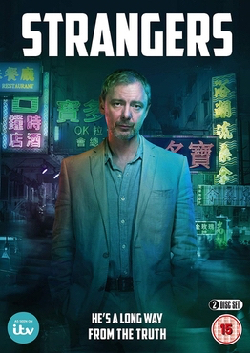 Cast: John Simm, Colin Tierney, Ruth Gemmell, Thomas Tinker. 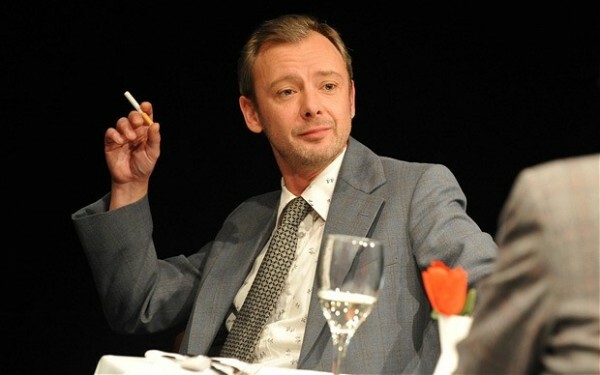 …If that wasn’t enough for the audiences who no doubt have flocked to the theatre in droves so far this year, then by having one of the most bankable and notable actors of his time, John Simm within the cast will surely have the crowds salivating at the prospect. That’s not to say that he carries this play, as each of the four actors, John Simm, Colin Tierney, the delightful Ruth Gemmell and Thomas Tinker, who was making his Crucible debut, gave performances that were above and beyond the call of the occasion. 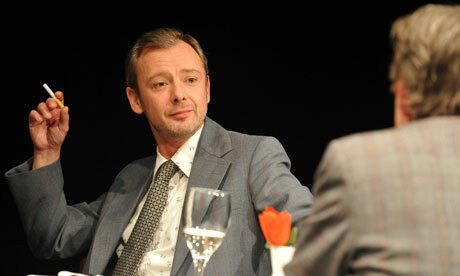 John Simm heads an exceptional cast in Betrayal. 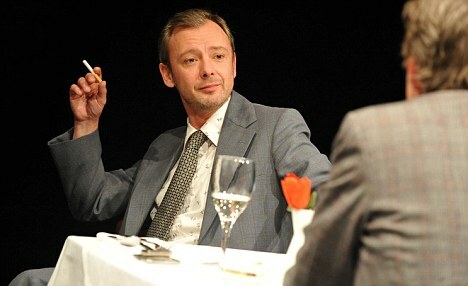 John Simm as Jerry in Betrayal. …From start to finish it alternates between glowing desire and shame-faced guilt, but it’s also sardonically funny. Simm is in intense, weaselly form as he goes back to the Seventies following his time in TV’s Life On Mars. It’s not an impersonation of Pinter, but his Jerry has the old boy’s famous twinkle, the one that dimmed to late-life rage at world leaders. 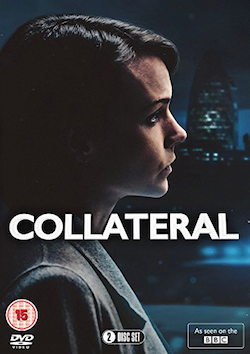 …The chronology of the affair is turned on its head via numerous time-tagged scenes leaving Simm to do his best acting late on as he declares his feelings for Emma in a shambolic yet eloquent outburst. 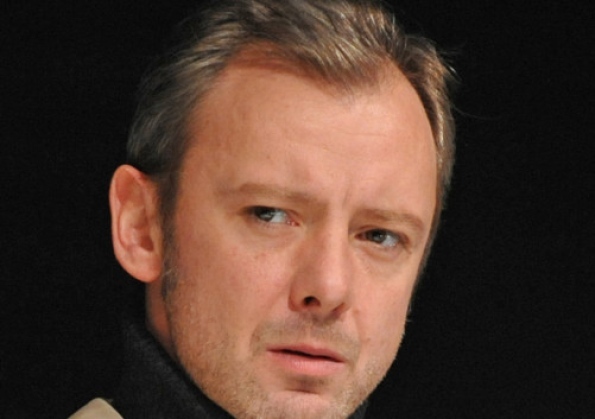 …John Simm and Colin Tierney both return to the Crucible after their acclaimed turns in Hamlet back in 2010. They are joined by another familiar face in the shape of Ruth Gemmell, to form a glittering cast for Nick Bagnall’s staging of one of Nobel Prize-winner, Harold Pinter’s most celebrated works: Betrayal. …As we regress through Jerry and Emma’s relationship, it becomes clear that they are both really seeking something quite different from the arrangement. 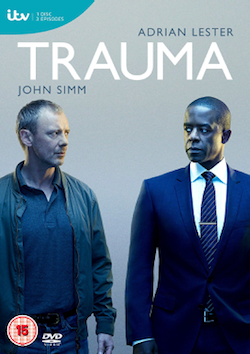 Heartbreaking … John Simm gives a charged performance. 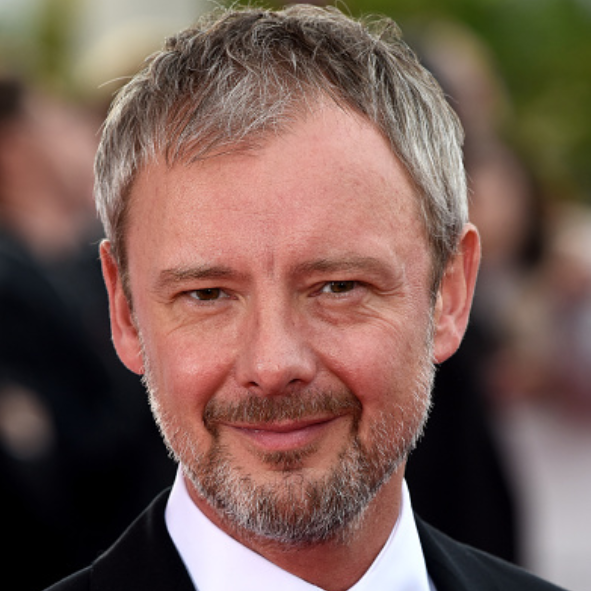 …John Simm, as literary agent Jerry, is all the more heartbreaking in his boyish protestations of love for Emma, the wife of his best friend Robert, since we have seen the desolation to which the affair will lead. It’s especially moving when he talks of his loneliness in her absence. The construction of the piece is no gimmick, though: by giving the audience foresight, a conventional tale of marital infidelity among the chattering classes becomes as charged as a Greek tragedy. …Nick Bagnell’s production benefits from an astoundingly good cast. John Simm, who 18 months ago made his Crucible debut in Hamlet, is incredibly compelling as Jerry; at first glimpse he’s beaten down by seven years of deception and, ultimately, rejection. By the time the production ends he’s almost a different man, full of zest and optimism. You can almost feel him becoming younger as time ticks on. 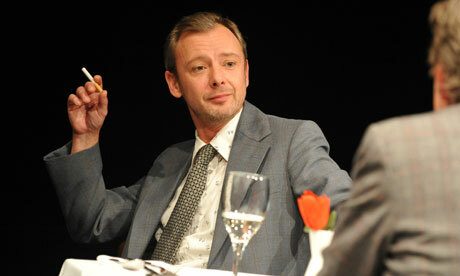 …John Simm brings an engaging boyish quality to Jerry as well as sudden moments of panic and guilt. Tags: actor, betrayal, colin tierney, crucible, harold pinter, john, nick bagnall, review, ruth gemmell, sheffield, simm, Stage, Theatre, thomas tinker. Bookmark the permalink.